In Aspen, Colorado, debates about a hydropower project have divided the town for the past 6 years, with voters narrowly rejecting the most recent proposal by less than 150 votes last November. Even though the dam would help Aspen towards its goal of becoming a completely renewable energy-run town, locals are concerned about the ecological impact a hydroelectricity plant may have on the impacted region and are unsure of what the pros and cons of the project are. This problem is not just apparent in the United States though, but around the world as well. According to the International Energy Agency (IEA), hydropower is the world’s largest renewable energy source, yet it is still faced with opposition from around the globe as it struggles to take off in some countries. In India, although the country has the capacity to produce over 148 GW of energy from its rivers, it only produces 39 gw because of the small environmental issues opposition brings up. For example, the Shree Maheshwar Hydel Power Corporation project located in northeast India can produce 400 MW at mass capacity, yet the project has been delayed for almost two decades due to resistance from various groups. Such resistance only hurts the future of hydropower because banks and investors are hesitant to give money to projects that are not sure of being complete. As more projects continue to be proposed though and the benefits of hydropower are further explained to the public, the hydropower industry continues to slowly garner support. 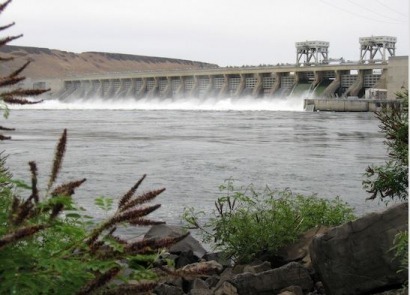 The most recent organization to alter its stance on hydropower is the World Bank. The organization sees hydropower as a key clean source of electricity for countries that have little power, such as places in Africa or Asia. It also sees hydropower as a potential tool to reduce the economic gap between developing and industrialized nations while creating as little carbon emissions as possible. The World Bank is even already targeting projects they want to support, such as the construction and rehabilitation of several dams in the Congo River. Changes are coming from other places too. In the United States, there are several bills in Congress that would help streamline the approval and development process of small hydropower projects to just two years. Improvements such as these can only continue to help fight NIMBY-type movements and move forward towards a cleaner and more self-sustaining planet.